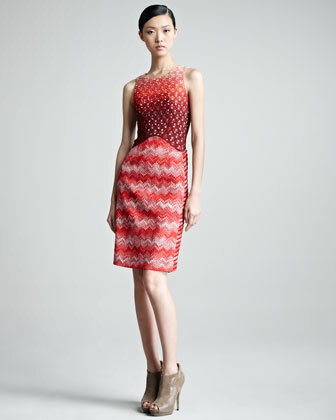 I cannot begin to explain how much I have always wanted to own a Missoni dress. Those chevron stripes in wacky colors simply speak to me. 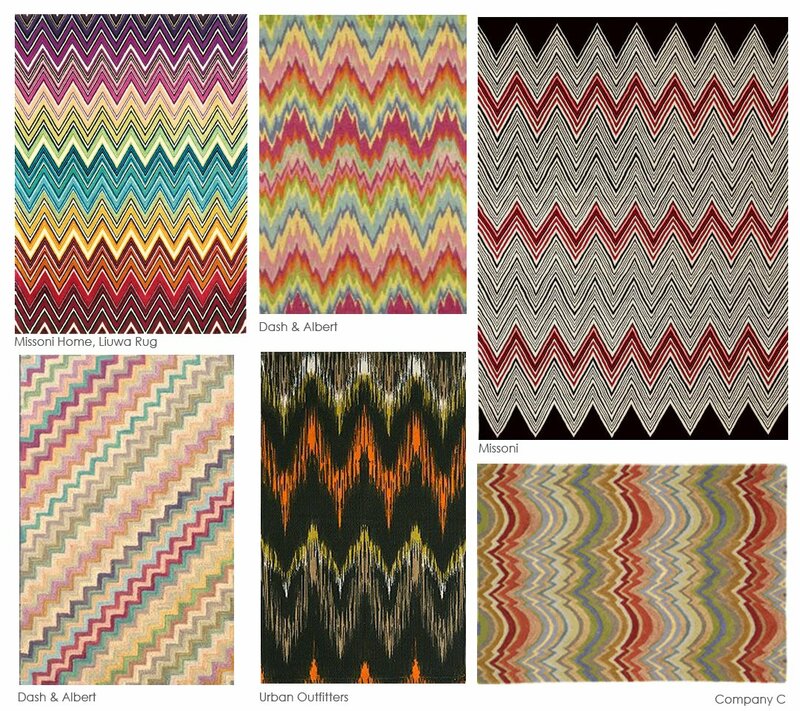 Unfortunately, Missoni is w a y out of my price range. 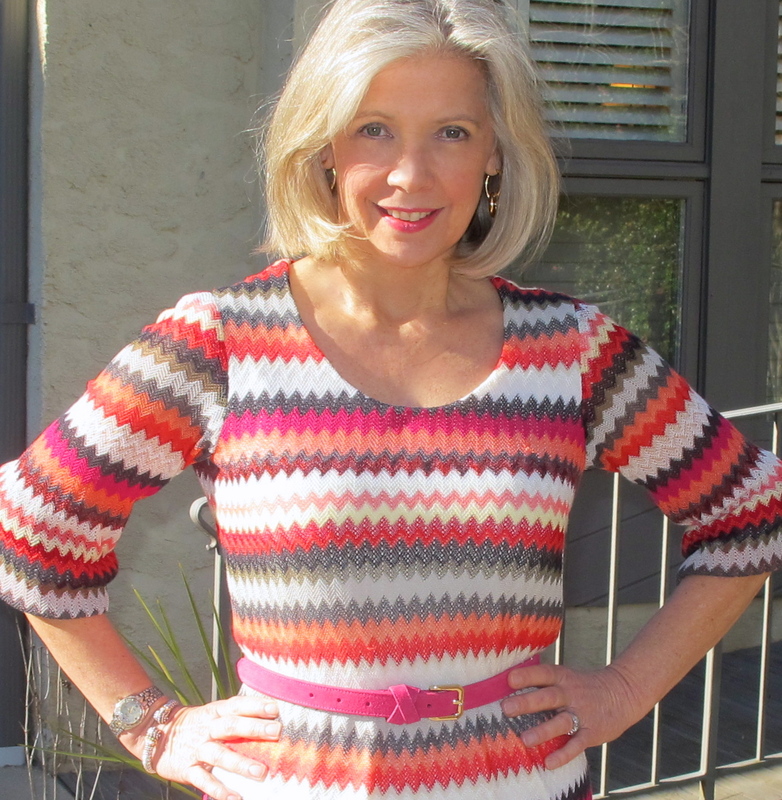 I was willing to settle for the one-time Missoni for Target line, but guess what? The event was held during my ready-to-wear fast….. sad, indeed. 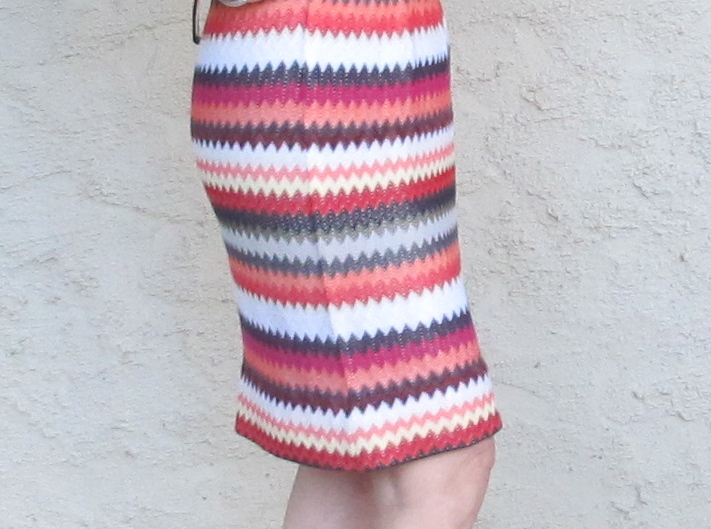 Since my return to sewing clothes 17 months ago, I realize I can have my cake and eat it too, and I just completed my first Missoni dress. What’s even more exciting to me is the dress suits my lifestyle and my body. 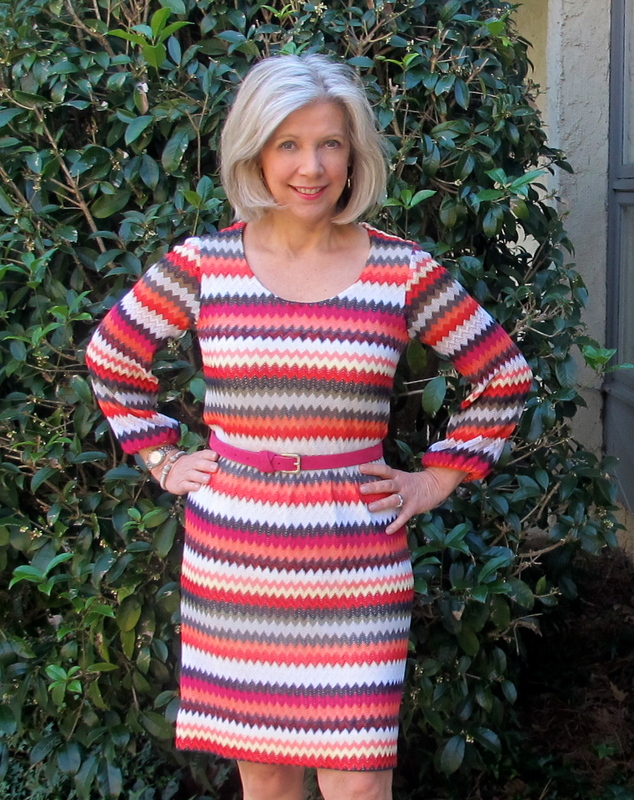 Using this simple McCalls pattern, I took several precautions to avoid the potential disasters associated with sewing loosely knit striped fabric. 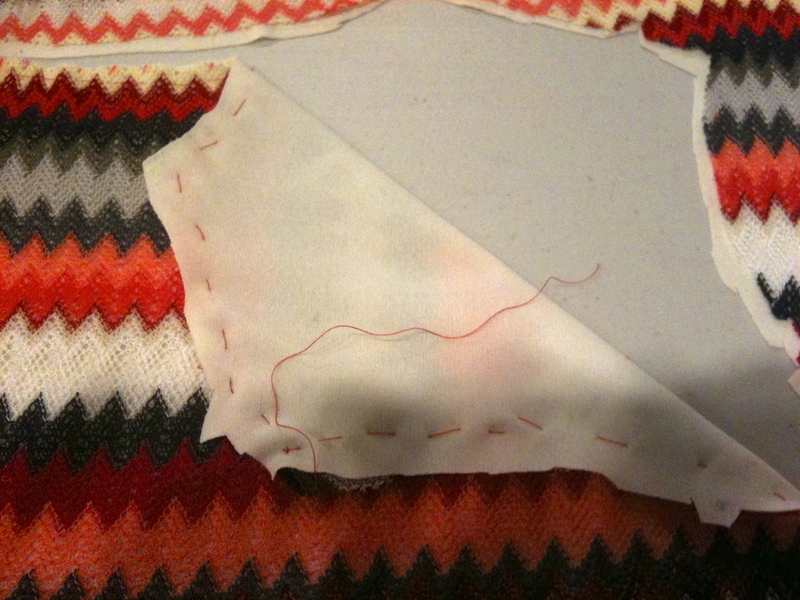 Having made the pattern before, I was familiar with the fit and cut a size smaller. 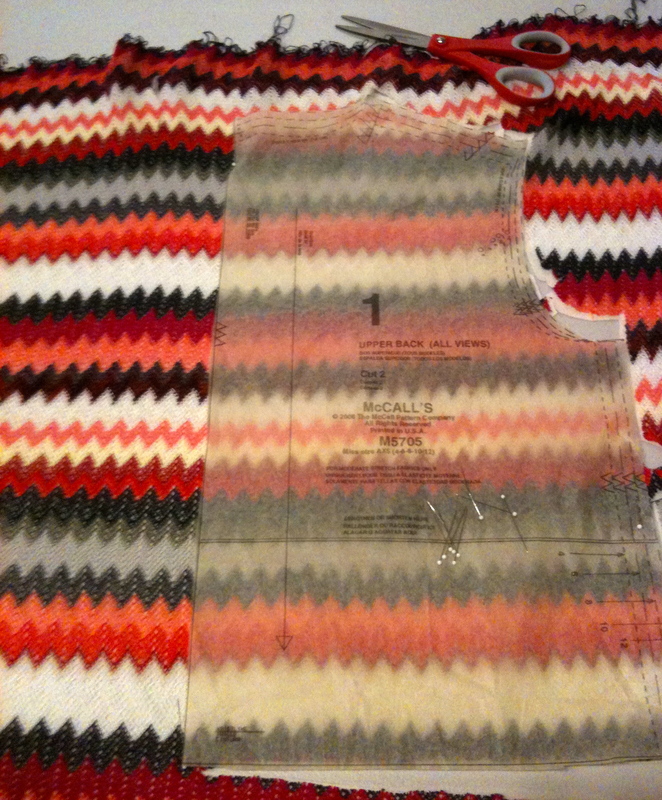 The fashion fabric and underlining were cut as one piece and immediately basted together while on the cutting table. Rather than cutting the pieces on the fold I opened the fabric to a single layer, cutting one side of the pattern, flipping the pattern piece over and cutting the other side. By doing this I was able to make sure the stripes were perfectly straight – my biggest fear. It took twice as long to cut out the pattern as it did to sew it, but once the pieces were cut and basted to the underlining the dress came together very quickly. 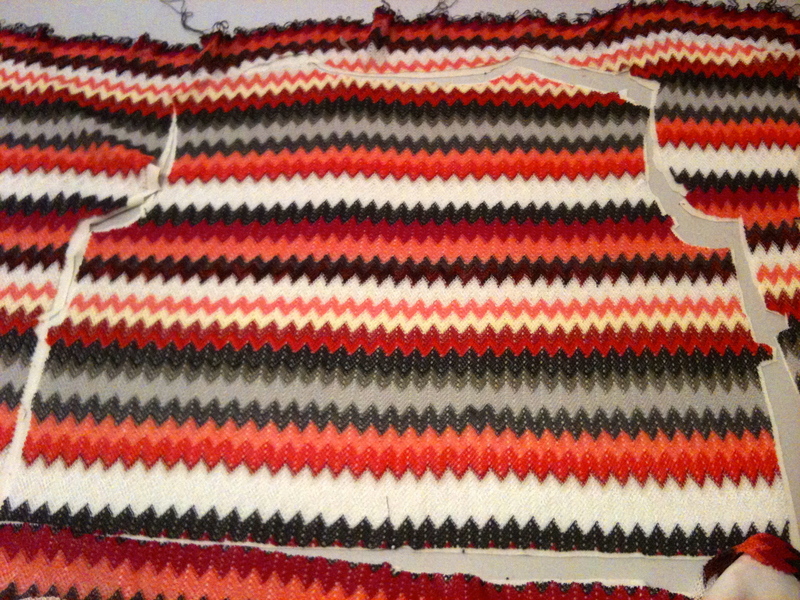 You can imagine my relief to see the matching stripes. I consider this dress to be a milestone in my sewing as I’ve always wanted to sew Missoni knits but never felt ready until recently. Well, now I’m ready to make another one–my style, my price and my way!